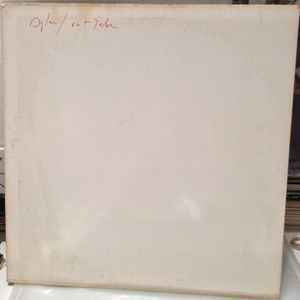 This is a Columbia Records test pressing of what was intended to be the original commercial release of "Blood On The Tracks". As legend has it, in the Fall of '74 Dylan went home for the holidays; with him a copy of his new album, set for release in a few weeks. After playing it for his brother, David Zimmerman, he suggested that Dylan re-record some of the tracks, as he felt that the songs sounded too much alike. Dylan halted production and re-recorded half of the songs in Minneapolis. These are the original New York sessions. A store in Holland has *21* copies listed on Discogs! Did they even make any available for their store's customers? This is one of the rarest records in America. Only 5 copies are known to exist. The 5th copy was discovered & sold at Amoeba Hollywood earlier this year,2015,for $12,000. Therefore I find it ridiculously absurd that 11 people claim to have this record on Discogs.